THE GRAND LODGE OF EUROPE I.O.O.F. possibilities of having a broader or wider European organization. The aim was then, as it is today, to have a common platform for Odd Fellowship in Europe. United States, later on altered to The Sovereign Grand Lodge Independent Order of Odd Fellows. However, one will have to wait for another one hundred years before any perspective plans were put into force. cooperating units and liaison councils in activity, prior to the institution of GLE. Some referred to more than others will. Grand Sire Petrus Beyer of Denmark. Grand Sire Hengst of Switzerland had with general regret sent his apologies”. Order in Europe. Moreover, the idea of having a European Grand Lodge was born already during these meetings. meetings took place much earlier. held in order to solve common matters and address widespread issues within the two regions. THE FEDERATION OF INDEPENDENT EUROPEAN JURISDICTIONS OF THE ODD FELLOW ORDER I.O.O.F. – as an institution for cooperation. The historical event took place in Berlin, Germany. The aim of The European Federation was to safeguard, promote and spread the principles of Odd Fellowship. The leadership, The Executive Committee, consisted of Chairman, Vice Chairman, Secretary and Treasurer. Regular Conferences were to take place every two years. Each jurisdiction had one vote. It can be observed that the foundation of the Federation has greatly improved the communication between the jurisdictions. Oﬃcers stay in function over longer periods, formed an important element on a national and international level. Denmark Finland, Germany, Iceland, Netherland/Belgium, Norway, Sweden and Switzerland. - The Federation accepts to work for establishing a world-wide organization of Odd Fellows! At the time, the organization of Grand Lodges and Rebekah Assemblies did diﬀer a lot from the present situation. reorganization, which took place due to the discontinuance of ERLA. The By-Laws of EF were adopted in Lucerne, Switzerland on May 18th 1990, and later on amended in line with the Constitution. took place at a later stage. This activity was among the very first steps for a united Order in Europe. Grand Sires Conference in May 1992.
contents as for the European Federation. Prior to establishing ERLA, the Rebekah leaders frequently met through a period of 10 years. Today, we all know the outcome of the question. ERLA issued a jewel for its members. The use of the said jewel ended when ERLA merged with European Federation in 2003.
time had come to assemble male and female leaders in one unity. This also with a background in the changes that took place in the individual European Jurisdictions Executive Committees in recent years. 9th 2003, invited the Executive Committees of EF and ERLA to meet in Copenhagen, on November 29th 2003. - To set up an Executive Committee consisting of representatives from the present Executive Committees,until the first ordinary meeting takes place. In the joint meeting, Chairman Hans Pedersen gave a well-documented information of the situation in each jurisdiction, as of the present date. Constitution and By-Laws. Both adopted with minor corrections. During the years to come, the European Federation received numerous inquiries of membership from private persons in Europe. established units in Poland, Spain, The Check Republic and Estonia. There is no doubt that the Europeans frequently, through International Council and European Federation, advertised for leadership from Sovereign Grand Lodge. Such lack of leadership clearly came to sight when a lodge in Austria was instituted, without the knowledge of any European Grand Lodge. Much to the surprise of the Europeans, Sovereign Grand Lodge announced that they had instituted a lodge – Paracelsus Loge- in Salzburg, Austria. created a state of turmoil in the relationship. The lodge was supposed to be subordinated Sovereign Grand Lodge, and not within the sphere of the European Federation. After a couple of years, several negotiations and heavy discussions, the Charter was surrendered to The Sovereign Grand Lodge. the upcoming gender equality, as the jurisdictions prepared themselves for a greater equality within the Executive Committees/Grand Lodges. Furthermore, this committee was asked to develop a new Unwritten Work, based on the old historical ones. an International Leader Board. Making the Order worldwide, with a firm leadership. leadership within the Independent Order of Odd Fellows. That is The Sovereign Grand Lodge; being supreme. to this Council for review and submission to The Sovereign Grand Lodge”. Sovereign Grand Master C. LaVaughn Lawson was present at the time. Much to the surprise of the Europeans, he had no objections. The first step towards an initiation of a Grand Lodge for Europe was taken. whom the voting SGL representatives listened. Passing through International Council had the advantage that the petition would be issued in accordance with SGL/American protocol. 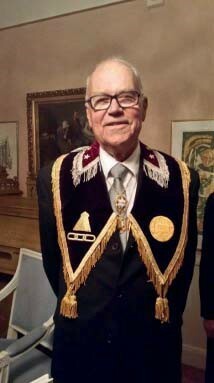 in Copenhagen June 9th – 10th with the aim to present the petition toThe Sovereign Grand Lodge”. The above was unanimously agreed upon by the eight European Grand Sires and sent International Council. Grand Sire Knud Nielsen, Denmark, President, Grand Sire Ernst Höijer, Sweden, Vice President and Sovereign Grand Secretary Edward G. Ludvigsen, USA, Secretary. meeting in Baltimore 1951, a request arose as to have Rebekah’s as members in the Council. The request was denied. However, from 1999, they were granted membership. Oﬃcers participated. Today, the name is amended to International Advisory Council, with 13 members including two representatives from Manchester Unity. The Advisory Council meet in connection with the SGL session. annual sessions of The Sovereign Grand Lodge. This includes the Chairman of the European Federation. history of the Odd Fellow Order, if you let us, the Europeans, bring home from Winston-Salem 2006 a Charter for a Grand Lodge in Europe! Grand Sire Harald Thoen, gave a PowerPoint presentation on how the Europeans would see the links towards SGL, in the future. PSGM Douglas Moore stated that he, in the presentation, had seen a discrepancy and immediately moved the matter to be adjourned, which was adopted at 11.15 AM. and other matters from the committees, are later on to be decide in plenary decision. was a member. Both gave the Europeans the possibility to discuss the present situation for the Order in America and Europe. claim for a Grand Lodge in Europe. Still, those several hundred voting Grand Representatives had the final decision. During late evening and early night, the Europeans searched their PowerPoint presentation, in order to find the discrepancy mentioned the day before. For sake of order, a new presentation was prepared for the next day. grant the requested petition for a Charter for the Independent Grand Lodge in Europe”. both verbally and by the said PowerPoint. The arguments and the presentation did not call for any further discussion. A total silence took place in the Lodge hall (being a congress hall in Hotel Radisson). Each one waited for a reaction from any of the Past Sovereign Grand Masters. The Europeans present had a tense expression. No reaction came, and petition to issue a Charter to a European Grand Lodge was unanimously adopted. been given as the divide of the Ural Mountains and the Caspian See to the south-east. 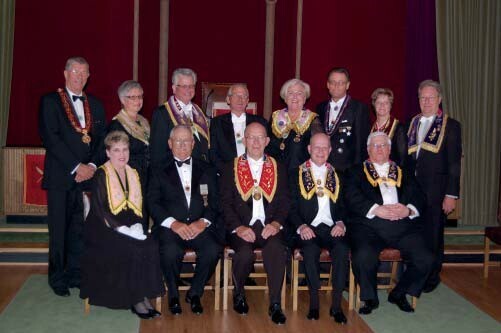 the Independent Order of Odd Fellows within the jurisdiction of said Grand Lodge. from the inculcation and practices of Friendship, Love and Truth. for the term 2006 – 2007, Brother SGM Michael W. Dutton presented a newly printed Charter to the Grand Lodge of Europe. Most probably the very last oﬃcial duty, as the Installation of his successor took place the very same evening. in the 188th year of our beloved Order. (Australia and New Zealand) got their Grand Lodge Charter in 1868! and seal of the same and report of the European Youth Committee. Terry Barrett and President International Association of Rebekah Assemblies Sandra K. Young. Independent Grand Lodge in Europe. Council presented the following, which was referred to the Executive Committee on Committee on Fraternal Relations. Whereas, after much discussion, the International Council voted unanimously to recommend the above noted and attached Petition for a Charter for a new Grand Lodge in Europe. Now, Therefore, Be It Resolved, that this Sovereign Grand Lodge grant the requested Petition for a Charter for the Independent Grand Lodge of Europe. The Sovereign Grand Lodge……..doth hereby create into distinct Independence in Odd Fellowship the Grand Lodge of Europe with full power…. Certainly, a significant diﬀerence as the word Independent is omitted. European Grand Sire Hans Pedersen issued new Charters to the jurisdictions, dated June 2007 in the 189th year of the Order. from the Conferences/Grand Lodge of Europe Meetings. However, certain programs or items needs to mentioned. Constitution – Membership in the Grand Lodge of Europe – The Degree of Wisdom. On March 14th 2007, an extraordinary Conference in European Federation took place in Copenhagen, Denmark. 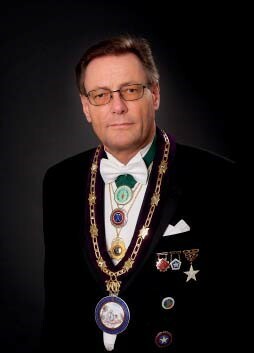 The aim of the meeting was to reach a mutual consent regarding a Constitution for the upcoming European Grand Lodge, in due time before the institution in Oslo, Norway, in May 2007. In order to fulfill the requirements forced by diversified Constitutions and By-Laws within each European Grand Lodge, serious but earnest discussions took place. Both were unanimously agreed upon, and later to be adopted by the 2007 session of The Sovereign Grand Lodge. altered name from Conference to Grand Lodge of Europe Meeting. from the GLE Oﬃcers to the board of Grand Sires. The Oﬃcers of GLE decided that the degree should have a content strongly related to the basic tenets of our Order, but still diﬀerent from the other degrees within the Order. Past Grand Chaplain, Rolf Nordenstam, Sweden, was engaged and presented an ethical and philosophical ritual. 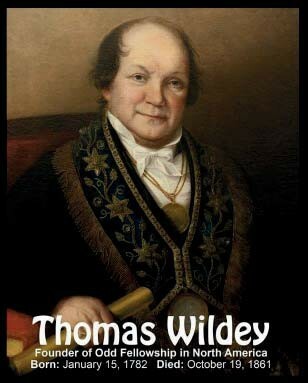 Known as the Degree of Wisdom. The degree is given to all applicants upon their inauguration, followed by a lecture. The total number of Sisters and Brothers, being members of The Grand Lodge of Europe, prior to the Oslo 2017-meeting is 660.
having had the same number of degrees as the Brothers, since more than one hundred years. Inside Matters, moved that European Federations should start “working on an Unwritten Work for Europe”. The Norwegians were at the time, preparing an educational membership program, in which a big photo session was planned. In order to combine the both, Deputy Grand Sire Harald Thoen being a member of the Committee on Inside Matters, was assigned the task. perceived and used, was unanimously agreed upon among the European Grand Lodges. The latter is to be found in the preface of the book European Unwritten Work. Volume I – for Brothers- produced and distributed to the eight European Grand Lodges, was finalized in the time of the European Federation. at the time, soon noticed that one could see dissimilarities among the Sisters use of signs and passwords. The decision was soon taken, and Volume II was produced, shaped and covered identical with Volume I. The Polish Sisters and Brothers received their Unwritten Work, Volume I and II, in connection with the Institution of the Polish Grand Lodge in 2014. The Sisters and Brothers in Europe today are having an Unwritten Work in which historical signs and passwords are expressed in a clearly manner, by text and photos. 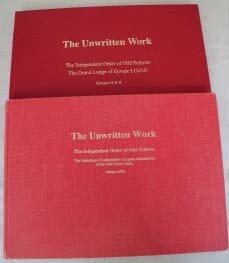 The Unwritten Work for Europe is printed in 11 copies only. DVD’S of both volumes are safely secured in the vault of the Grand Lodge of Denmark, Copenhagen, being the domicile of the Grand Lodge of Europe. Unwritten Work is of tremendous importance historically and educationally. values and aƫtudes in such a way that they may contribute to a better society through their conduct of life. Organization – International Activities were all parts of the plan. Purpose – Values – Strategies – Conduct. of the Odd Fellow Order in Europe”. The Identity, underlines the Mission and Vision, Ethics and Rituals, Values and Behavior. young delegates from Europe have participated yearly. addition to being tour leader for many years. discussing an alteration from USA/Canada to Europe. Lodge of Sweden) and Spain (Grand Lodge of Denmark). presiding Oﬃcer during the ceremony. exist on November 22nd 1938. The Grand Lodge of Norway is presently considering the possibility of introducing Odd Fellowship in Ukraine. 1870ies. In Europe, the branch is in operation in Denmark and Iceland, and shows increasing membership-figures. In retrospect, one will be able to see that these perspectives are not yet fulfilled. in Europe feel they are a part of the movement in the years to come. Fatherhood of God overall and for Brotherhood of Man is nature’s true nobleman”. Many people have worked with the goal being able to establish a common Grand Lodge for the Odd Fellow Order in Europe. I myself have participated in this work over many years. Years of hardship, but also years of joy and cooperation across national borders. Rebekah Assemblies in Europe, who participated in the fulfillment of the Grand Lodge of Europe I.O.O.F. The titles used in this report are from the current time. There is no Odd Fellow community without International Odd Fellow community. A community, in which the European jurisdictions have always played an active – and in many connections – decisive part. ”Nordic Grand Sire Meeting” with participation from the five Nordic jurisdictions Sweden, Norway, Denmark, Finland and Iceland. ”South European Grand Sire Meeting” with participation from Switzerland, The Netherlands/Belgium and Germany. From app. 1900 – 1990 : ”European Grand Sires Conference” with participation of the European jurisdictions at that time. From 1990: ”The Federation of Independent European Jurisdictions” (hereafter called The Federation), which has today become ”The European Grand Lodge” (hereafter called GLE). The participants are here, except for the five Nordic jurisdictions, the jurisdictions from Belgium/The Netherlands, Germany and Switzerland. ”European Rebekah Leaders Association” (hereafter called ERLA), with participation of the European sisterly leaders. (hereafter called IARA), ”The European Grand Lodge”, (hereafter called GLE), as well as ”Grandlodge for Australasia”. ”Sovereign Grand Lodge” , at the yearly conferences of which Europe throughout the years has been represented by one – and mostly – more jurisdictions. The connection between SGL and GLE takes place through the office ”Deputy Sovereign Grand Master”, who is the Grand Sire for GLE at any time being in force. ”The Australian Asiatic Grand Lodge”. But I will allow myself to concentrate on the so-called ”Federation of European jurisdictions” – now ”The Grand Lodge for Europe” – and “International Council” – and then more or less sporadically mention the other mentioned parts of cooperation. ”The Federation of Independent European Jurisdictions of The Odd Fellow Order, I.O.O.F.” was constituted in 1990 in Lucerne, Switzerland and was amongst others a result of many years’ considerations about the connection between the European jurisdictions and SGL, but especially a result of considerations about the future of the Odd Fellow Order in Europe. For many years before 1990, representatives for Europe had with concern looked at the decline of the Odd Fellow Order on the Norh American Continent, and had at innumerable meetings and speeches in SGL tried to influence our American brothers to do something radically, but unfortunately it was impossible to make SGL realize the necessity of changes – and even this lack of response from SGL became – as mentioned already – one of the reasons for establishing ”The Federation”. In 1988 the European jurisdictions decided to form their own association, or rather to strengthen the cooperation, which already existed through the so-called ”European Grand Sire’s Conference”. ”At the fifth conference of the European Grand Sires were present in Copenhagen on 17th – 18th May 1902 Grand Sire Laurentz, Sweden, Grand Sire Gerlach, Germany, Grand Sire Philips, The Netherlands and Grand Sire Petrus Beyer, Denmark. Grand Sire Hengst, Switzerland, had with general regret had to send his apologies”. Out of this can be seen that the European cooperation is almost as old as the presence of the Order in Europe. As previously mentioned the first thoughts were to form a Grand Lodge for Europe, but it was decided to form a Federation, and the first drafts of regulations and by-laws were treated in 1988-1989. Upon a lot of written communication, an extraordinary meeting in ”European Grand Sire’s Conference” was held, when the final drafts were agreed upon, and the first board was elected as follows: As President Grand Sire Preben O. Rasmusssen, Denmark, as Vice-President Grand Sire Daniel Corrodi, Switzerland, as Secretary Grand Secretary Thomas Jessen, Denmark, and as Treasurer Grand Sire Dag Wallen, Sweden. It should here be mentioned that The Federation was formed in a way that only the brotherly part of a jurisdiction could be represented. This lead to the fact that the European Rebekah Assembly two years later – in 1992 – created European Rebekah Leaders Association. Today it definitely looks somewhat different – but hereabout later. In the period with The Federation, one of the results in the committee work was amongst others the new ”Unwritten Work” issued in 2002. Gradually there came many lodges in Poland, Estonia, Czech Republic and Spain, also having their source in initiatives in The Federation. Overall it is still worked with the mentioned four subtopics in the new Grand Lodge for Europe. By the way in respect of the endeavours of the Federation to establish lodges in European countries, in which no Grand Lodge existed, this work required an agreement with SGL, as The Federation did not want SGL to establish lodges in Europe according to American model. This led to certain disputes between SGL and The Federation. Disputes, which we on the European side thought were settled with the agreement, signed by both parties in 2001, the so-called ”Accord”. Unfortunately it quickly turned out that SGL did not interpret the Accord in the same way as we did, for which reason an amendment of the wording in the Accord became absolutely necessary. A proposal of amendment on this subject should have been treated on a meeting in I.C. April 2005, but because of a completely unexpected reaction from I.C.’s American repre- sentatives, this meeting turned out to elapse quite differently from the expectations, but before I continue, it will be relevant to place I.C. in the worldview of the Order. This organization was amongst others created to re-establish the lost physical and orderly connection between the two big Odd Fellow areas America and Europe, which had not only, but also because of the 2nd world war, lost contact to each other. The initial meeting about establishing I.C. was held in May 1947 in Baltimore in the state of Maryland. The following constituting meeting in I.C. was held in Copenhagen from 2nd to 6th May 1949. The first act was to elect a president – and the election fell on the Danish Grand Sire Knud Nielsen. PSGM Charles Wheeler started the meeting in Copenhagen with the following prophetic words: ”In the next few days,our deed here will write history for our Order, either bad or good. If we act wise and unselfish, our endeavours will be crowned with luck, and our Order will get honour thereof. If we act selfish,and each jurisdiction tries to secure themselves on the others’ expense, we will fail, what is expected from us and the brothership will know to value our mistake”, unquote. It soon appears by reading the minutes from I.C.’s meetings throughout the years that the most fruitful is reading the different reports of the jurisdictions, telling about the daily Odd Fellow work around the world. But these reports at the same time give the impression that I.C. never became the forum, which could lead the development in the world’s jurisdictions towards a whole. It is also rather symptomatic that the following note in the minutes is rather usual: ”Now action taken by the Council”! At the I.C. meeting in 1957 ”The Grand Lodge for Australasia” asks for membership, but not before 1963 this part of the world was represented. In 1993 Brother Grand Secretary Ian Witton, even from Australasia, airs for the first time his thoughts about a new and more powerful I.C., as it had been realized that an organization, represented by all elected brotherly grand officers from the whole world’s jurisdictions, and who only met all three years, did not have a chance to play a role. In 1996 same Br. Witton was elected President for I.C., which gave him the platform needed to promote his thoughts about a new I.C. At the same time, the present I.C. was established as it was hoped to be a stronger organization without the same stifling bindings to SGL, which the first I.C. had. The development on I.C.’s meeting in 2005, to which we will return right away, seems to show that we might be on the right way. The new I.C. consists of 3 representatives from SGL, 2 from the American Rebekah Institution, I.A.R.A., 2 from Australasia and 4 from The Federation, 2 sisters and 2 brothers. The organization meets at least once a year! The very big difference between the old and the new I.C. is that the sisters for the first time sit in an international Odd Fellow organization. And then back to 2005. We find ourselves in Chicago, at the new I.C.’s 6th ordinary meeting, and on the agenda is as previously mentioned a proposal of amendment to the Accord, which The Federation has with SGL, an Accord which the parties understood differently in respect of the right to establish lodges in areas, having no Grand Lodge. This proposal of amendment never was discussed, as the representatives from SGL, at great surprise for the representatives from Europe, gave us the following proposal: Ask SGL for a charter for a European Grand Lodge. This will make Europe equal negotiator towards SGL, which will consider a charter a much more important document than the present Accord. Inofficially one of the participants said it in the following way: ”SGL must give Europe a charter, in order that a new ”Grand Lodge for Europe” can be the base for the international Odd Fellow Order of the future. This role SGL can no longer play”! And as we all know, on the meeting in 2006 SGL decided in unanimity to work out a charter to an European Grand Lodge, which was subsequently instituted in Oslo in June 2007. And then back to The Federation: As previously said this organization has had many different aspects of the Order on its agenda, and fruitful discussions have taken place between the jurisdictions. But gradually as many Grand Lodges in Europe got more and more aware that a significant argument for many members in the future was to show the world that the Odd Fellow Order was both for women and men, and that all members had equality in the Order, it also became clear for the Federation that the separation of the members : The Federation for brothers and ERLA for sisters - no longer was expedient. For the clarity it must be mentioned that ERLA – i.e. the sisterly pendant to The Federation – had no rights except for clear sisterly matters – but could be considered a committee under the Federation. At the yearly meeting of the Federation in Helsinki in 2002, it was agreed upon to set up a committee, which at the meeting in 2003 should present a draft to new rules for the Federation, so that this hereafter should represent both the European sisters and brothers. Such new rules were agreed upon at the yearly meeting in 2004 – and as a consequence of this ERLA was abolished. It was this expanded Federation, which in 2007 was replaced by ”The Grand Lodge for Europe”. This Grand Lodge consists of the present 9 independent European Grand Lodges: Sweden, Norway, Denmark, Finland, Iceland, Switzerland, The Netherlands/Belgium, Germany and Poland (mentioned after number of members). Prepare strategic plans for securing the future of the Order. Secure that the charter, traditional rituals and the Secret Work remain the superior basis for Odd Fellowship among GLE’s members. Secure European unit, cooperation and respect for the international development of The Independent Odd Fellow Order, and to keep all the rights, advantages and duties, being a consequence of the Odd Fellow – membership. The supreme authority of The Grand Lodge is the ”Grand Lodge Conference”, holding ordinary meeting every year in May or June. To the yearly conference each jurisdiction sends 2 representatives, 1 sister and 1 brother. Every second year, at the regular meetings, the ”Grand Lodge Conference” shall elect the European Grand Officers. The conference elects together with the election of officers 2 committees, one for brotherly and one for sisterly matters. Even so The Conference appoints a youth committee, consisting of 1 member for each jurisdiction. The basic contribution of not less than 1.500 euros, which is paid by each jurisdiction in equal parts. Dear sisters and brothers: The most important element in this whole Grand Lodge construction is not the officers of this Grand Lodge. No, it is the 100.000 sisters and brothers all over Europe. For them, GLE has been built, it is hopefully them that will have pleasure and use of it. It is important that the European Grand Lodge is seen by our member jurisdictions as a Grand Lodge, whereto they can come, looking for advice and guidance for the work of the individual jurisdiction towards the common target. It is important that the member jurisdictions understand and feel that the Grand Lodge is there for them. Here is a big task for the 2 times 9 representatives, that the jurisdictions every year send to the meeting in GLE, the yearly Conference. These representatives must take care that our jurisdictions are well informed about what GLE is doing, in order that it will not become some remote and uninteresting size without connection to the sisters and brothers, paying the party – and hopefully should become value for the money. Dear sisters and brothers, GLE also wants to see the European part of the Odd Fellow Order as a part of the international Odd Fellow Order, therefore GLE has from the very first day said to the Sovereign Grand Lodge, to the Grand Lodge of Australasia and to International Council: You can count with us in your endeavours to perform the requirements of the Order. We have not created GLE to isolate ourselves from the rest of the Odd Fellow world, we have created it, in order that it can together with all sisters and brothers make a difference in the world. I wish for all of us that The Grand Lodge for Europe will solve its tasks to the pleasure of all sisters and brothers, to the benefit of our jurisdictions and the best for our Order. It will later be brought an article about the work in GLE, as it goes right now.